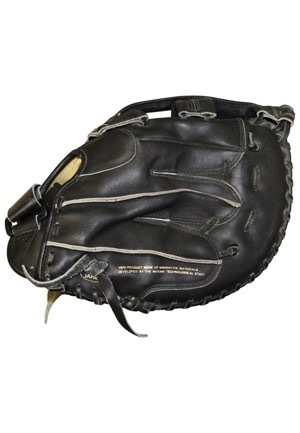 Mizuno manufactured double tanned leather first baseman mitt. Down the thumb loop reads “Rafael Palmeiro” embroidered in yellow script style writing. 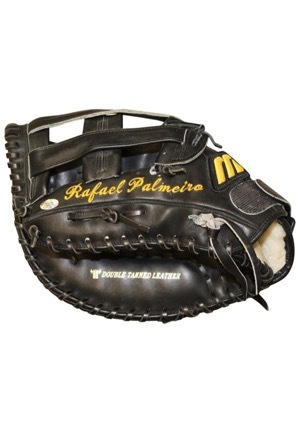 Palmeiro signed the inside of the glove in silver marker and in our opinion the signature rates a 7. Accompanied by a LOA from JSA and a Palmeiro LOA.